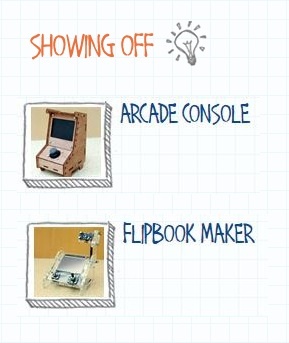 Would you like to create your own electronic gadgets? If so, there is a new way based on the tools researchers at Microsoft Research built for themselves. They needed a quick way to try out their ideas. It's all very well to think up wonderful gadgets on paper but you really need to build them to explore the possibilities and see if the idea really works. If it takes weeks to go from paper to gadget then your spark of inspiration may have gone long before you get to play, and for researchers the more playtime the better! Their solution was .NET Gadgeteer. It is a kit of gadget components based around a computer motherboard. There are lots of components like touch screens, temperature sensors, cameras, audio players, memory cards, motors, ways to communicate with other gadgets, and so on. There is no soldering and no individual wires. You just plug components into the motherboard and then program how they work together. Connect a remote sensor unit, a camera unit and a memory card unit, and with a bit of programming you have a security monitor. Combine the camera instead with a screen, push button, potentiometer and SD card unit, and you have a device for making your own stop-motion animations, Wallace and Gromit-style. The team who created Gadgeteer led by Steve Hodges want everyone to share their enthusiasm for inventing electronic gadgets so they decided to create a version anyone could play with. The first kits are now on sale and lots more modules are planned.